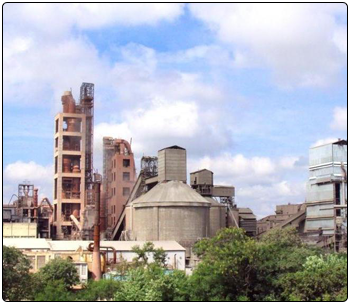 Jayanthipuram Cement Plant, located in the Krishna District of Andhra Pradesh, commissioned in the year 1986, has a capacity of 3.65 MTPA. For Quality Control & Assurance the Plant has state of the art facilities like Optima Blending Control System, Online Cross Belt Analyzer (Gama Matrix), X-ray Analyzer, X-ray Defractometer, Alpine Particle Size Analyzer etc. The Plant is equipped with SF Cooler, Vertical Pregrinding mill with 3 way separator, Ramco Fuzzy Logic System, Rotoscale for Kiln feed weighing system. Pollution control in the Plant is handled with Bag House, with facilities for monitoring online ambient air quality. The Plant also has a mobile vacuum cleaner and a mobile road sweeper. The plant also has a slag mill for the manufacture of Portland Slag Cement. The captive mines of the Plant have won several awards in Mines Environmental and Mineral Conservation Week. Jayanthipuram Plant successfully implemented the Integrated Management System - IMS, which includes ISO 9001:2008 Quality Management System, ISO 14001:2004 Environmental Management System and IS 18001:2007 Occupational Health and Safety Management System. Also implemented Energy Management System and 5S - Work Place Management System. Jayanthipuram Plant has earned laurels for its outstanding efforts towards maintaining a pollution-free environment. Jayanthipuram Plant was also the first in the cement industry to install the online Continuous Ambient Air Quality Monitoring Station (CAAQM) and to interlink/upload the online data with the Andhra Pradesh Pollution Control Board (APPCB) website.